In our school we learn and achieve together within a safe, respectful and welcoming Christian community. Our children's spiritual and moral development is nurtured by our values, enabling them to fulfil their potential and giving them the confidence needed to be lifelong learners and problem solvers in the wider world. Appreciate what others have achieved in art, science, music, literacy and technology. Understand what is meant by social, economic and political elements of our society. Develop their self-respect and self-motivation; to acquire a set of moral values and to be able to become contributing members of their community. Provide a learning environment which encourages children to attain the highest standards they can in all subjects, but especially in Literacy, Numeracy and Science Encourage self-discipline through independent learning, enquiry and investigative skills. Promote the development of a positive self-image, self confidence and self worth and to value and develop individual strengths and weaknesses. Teach our children to read fluently, listen carefully, develop a legible style of handwriting and to communicate clearly and confidently in speech and writing. Maintain and extend the positive links with the parish church. Provide an inclusive environment which ensures access to our school campus, in line with the national recommendations. preparing for their future economic well-being. 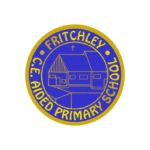 Fritchley Primary & Nursery School is committed to safeguarding, and promoting the welfare of all of our children and families. We recognise that in an ever changing and fast moving world it is essential that we promote children's well-being, confidence and resilience, and that we provide them with up to date and age-appropriate information and signpost them to places where they can find support, where necessary. 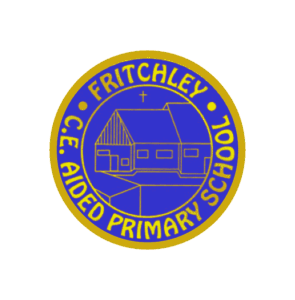 At Fritchley Primary & Nursery School all staff are expected to uphold the fundamental principles of British values, including democracy, the rule of law, individual liberty and mutual respect, and tolerance of those with different faiths and beliefs. These values are promoted through our values and ethos, the curriculum, citizenship, assembly themes and PSHE work. Staff have undertaken the Channel Awareness accredited training. Channel is a key process within the Prevent strategy for assessing individuals’ vulnerability to being drawn into terrorism. It focuses on early intervention and diverting people away from risk.